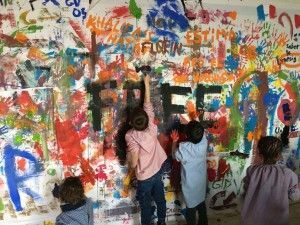 Since its inception, ART AND SCHOOL has promoted and highlighted the presence of art in schools, encouraging collaboration between organisations working in the fields of art and education, in conjunction with schools. to share resources and methodologies, supporting teachers in developing cross-disciplinary projects and foregrounding the work carried out in schools, based upon a common theme; this year's theme being, THE CHAOS. The exhibition shows the working process of the educational centers.